that the dance will reveal itself”. Arjuna will offer an in-depth experience at the next OneDanceTribe Hawaii event January 19-25, 2017 on Maui, Hawaii. 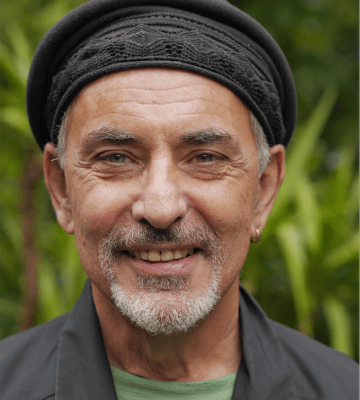 Arjuna Vinn Martí is an award-winning choreographer, global performer, master teacher and creator of SoulMotion™ a conscious dance practice and has been teaching movement for over 35 years. He found his life’s calling at a young age and in the process of following his path, has evolved a transformative movement practice that has touched the lives of thousands.